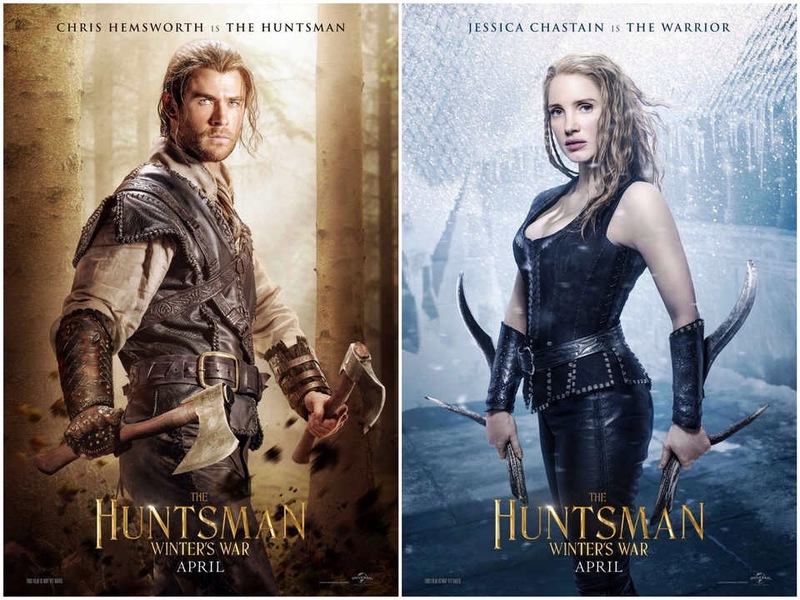 I all but slept through 2012’s Snow White and the Huntsman, partly because I’d been to the midnight screening of Prometheus a few hours earlier and partly because it was so dull. The fact it starred Charlize Theron and Chris Hemsworth, two of my favourite thesps and still made me nod of was an indication of how mediocre it was. So four years later I was far from desperate to see the prequel/sequel, and given the woeful reviews, went in expecting another two hours of dullness. However, with Hemsworth, Theron, Jessica Chastain, Emily Blunt, Nick Frost, Rob Brydon and Sheridan Smith on board, there was plenty of high calibre talent involved. And to my surprise turned out to be a fun, engaging pantomime with a touch of Frozen filtered through the lens of The Lord of the Rings. 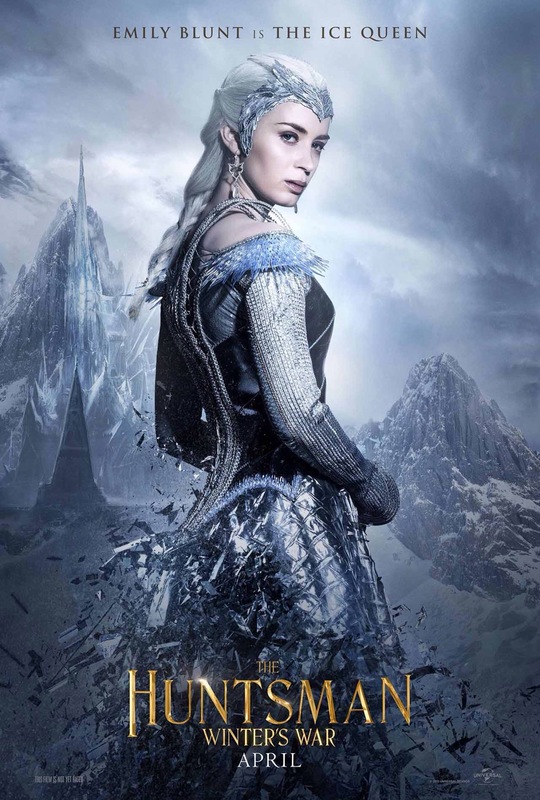 Starting with a prequel to SWATH, we fast forward past events from that movie and the meat of the film which sees the eponymous warrior and his mission to usurp the evil ice queen (Blunt) and retrieve the magic mirror from film one. The gags are funny, the set design impressive and though the action scenes a little too frenetic, it knits together well. The CGI effects are annoying, clearly rendered by an army of uninspired keyboard wizards. But it scarcely matters. While no fantasy classic, there are enough lavish set pieces to make it worthwhile. Imagine a road movie with a Close Encounters vibe but all the cast had been told their best friend had just died. 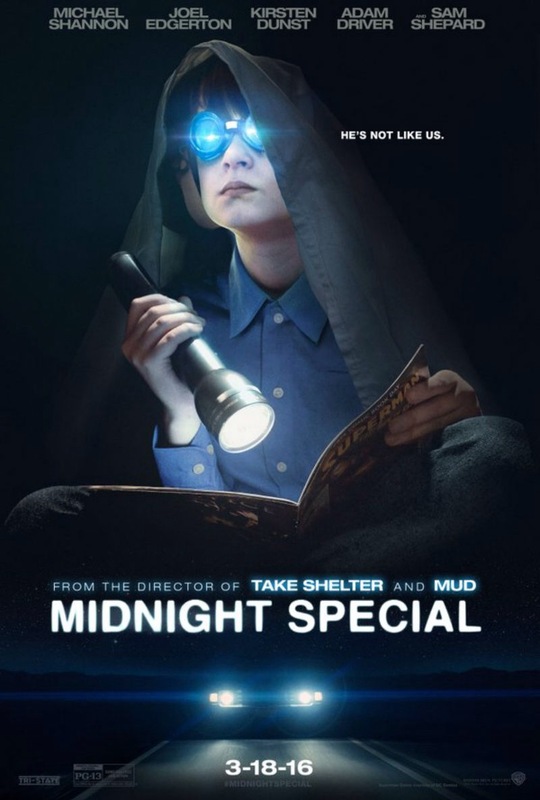 That’s the tone of Midnight Special, a slow, sombre, occasionally annoying Twilight Zone-style adventure which sets out an intriguing Akira-like premise (gifted lad on the run with a few guardians) but drags through a yawnsome second act. Okay there is one shock moment that wakes you up, and a great scene at a gas station, but on the whole it attracts more Zs than a dictionary-compiler’s final chapter. Yet the likes of Michael Shannon, Kirsten Dunst and Joel Edgerton ensured I stayed with it the whole time the trio in front of me were checking their phones and discussing every scene. By the third act I was craving the ’special’ element, fearing I had been sold a dud, and remarkably it was something to wow at. I’ll not reveal it here, but safe to say it pays off. A great score helped but the whole thing was so earnest it hurt. Nice to see Adam Driver adding a little levity, but it needed more to work. Great punchline but the set up was a trial. Had I seen it at the eponymous time I’d have been asleep after half an hour. 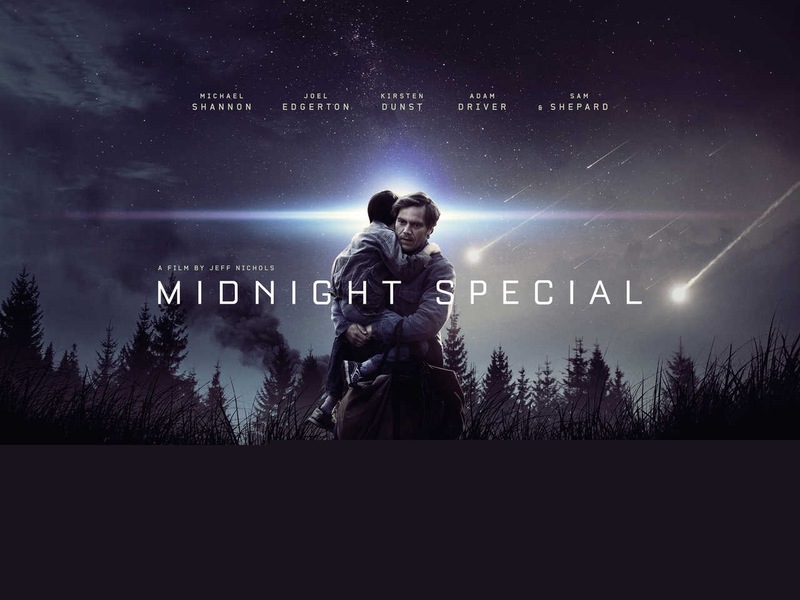 Jaeden Lieberher is quite rightly the star of the show as the young lad at the heart of the drama, but at 1hr 52, this is a good 20 mins too long. There’s just not enough story to justify the running time. I’m 30 minutes in to Crimson Peak and my eyes are closing. I’ve already spent 20 minutes talking to actual people to get two cinema tickets because it’s sometimes nicer than just booking online. The assistant misheard me, gave me two tickets for Hotel Transylvania 2 and it took two more people and another 18 minutes to rectify the situation. I’ve already given a Paddington hard stare to the Chatty Cathy behind me and now I’m nodding off. Not because it’s a bad film. It’s not, but I’m still on Florida time after a couple of days back in Blighty, and dark cinemas are not conducive to that wide awake feeling. The first hour of Guillermo del Toro’s latest is a sumptuous affair. Mia Wasikowska on fine form as Edith Cushing, the aspiring novelist with a rich father seduced by the Byronic Brit Sir Thomas Sharpe (Tom Hiddleston) who seeks funding for his clay mining enterprise. A genuine dragon’s den this it seems as assorted other potential investors are already “out” and Thomas is desperate. Then there’s his rarely blinking, ivory tinkling enigmatic sister Lucille (Jessica Chastain). Hard to believe this is the same actress who proved so compelling in The Martian and assorted other films released recently. Her scenery chewing performance is a joy to behold. Alas, the weak link in the chain is Charlie Hunnam as Ms Cushing’s concerned doctor and old friend Alan McMichael. As with GDT’s Pacific Rim, I just don’t buy him in either movie. 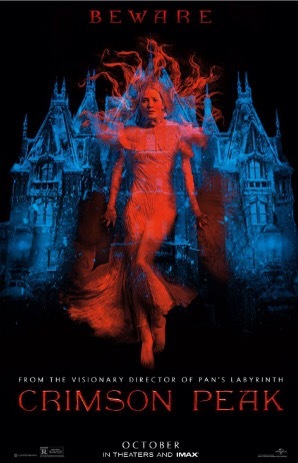 Crimson Peak looks terrific and like Tom’s mining machine, really gets going after building up a head of steam in the third act. Any jet lag was buried as revelations were revealed and the plot became as clear as Ms Wasikowska’s doll-like skin. There are a few wince-inducing moments here and there, but this is less a horror film and more a gothic romance. Guillermo is a master of the genre, and after the comedic Hellboy movies and occasionally clunky Pac Rim (as the fans call it), good to see him get his teeth into something a little more adult and full blooded. Of course Hammer used to do this on a fraction of the budget 50 years ago, but despite the elaborate set, it doesn’t overshadow the drama too much. Yes, the house is a key character, like the Nostromo in Alien, but there is much to admire here as well as the fancy costumes and Haunted Mansion-style proscenium. It’s not as good as I’d hoped it would be, and could have done with a serious shot of adrenaline in the first act; it’s as inert as a still pendulum at times, but eventually the machinery kicks in and makes you glad you stuck around. Yes, eventually it does peak. Thankfully The Martian is Ridley Scott’s best film in a decade. It’s not a perfect adaptation of Andy Weir’s compelling page turner, but it comes pretty close. 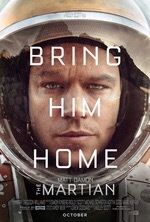 Matt Damon is a fine fit as Mark Watney, the botanist engineer stranded on Mars when he’s assumed dead by his crew. Jessica Chastain is excellent as the captain of said mission, and the rest of the casting is pretty excellent too. (Sean Bean has a terrific Lord of The Rings in-joke during a NASA meeting). Though fans of the novel will probably moan about the speed with which problems are solved and certain key elements are jettisoned, the essence of the book remains: one man’s attempt to stay alive with a mix of smarts, humour and resourcefulness. Though I was mentally yelling “Slow down,” at certain points, this mix of Apollo 13 and Gravity is bound to be an instant crowd pleaser thanks to that terrific third act. A shame the final five minutes are tagged on. The book has a lean, snappy finale, but Scott’s movie (perhaps intentionally) ends like some TV series. ‘You have been watching…’ kind of thing. The effects and score are all great, and while not perfect, it’s light years ahead of Scott’s previous let downs Prometheus and risible The Counsellor. Welcome home Ridley. You’ve spent too long in the blockbuster wilderness. Nice to see you back where you belong. Now get the Alien saga back on track. Please.